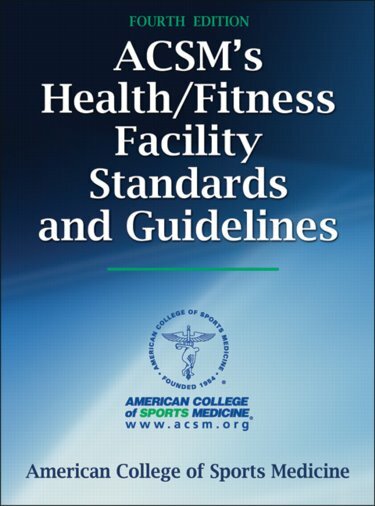 Abstract: ACSM's Health/Fitness Facility Standards and Guidelines, Fourth Edition, presents the current standards and guidelines that help health and fitness establishments provide high-quality service and program offerings in a safe environment. This text is based in large part on both the work that has begun through the NSF international initiative to develop industry standards to serve as the foundation for a voluntary health and fitness facility certification process and the third edition of ACSM's Health/Fitness Facility Standards and Guidelines. The ACSM's team of experts in academic, medical, and health and fitness fields have put together an authoritative guide for facility operators and owners. By detailing these standards and guidelines and providing supplemental materials, ACSM's Health/Fitness Facility Standards and Guidelines provides a blueprint for health and fitness facilities to use in elevating the standard of care they provide their members and users as well as enhance their exercise experience....Health and fitness facilities provide opportunities for individuals to become and remain physically active. As the use of exercise for health care prevention and prescription continues to gain momentum, health and fitness facilities and clubs will emerge as an integral part of the health care system. 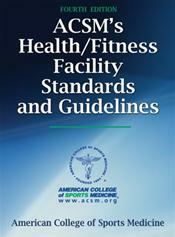 The fourth edition of ACSM's Health/Fitness Facility Standards and Guidelines will assist health and fitness facility managers, owners, and staff in keeping to a standard of operation, client care, and service that will assist members and users in caring for their health through safe and appropriate exercise experiences.